Malala Yousafzai, 20-year-old Nobel Peace Prize laureate, struggled to promote girls' education during harsh rule by the Taliban in Pakistan. 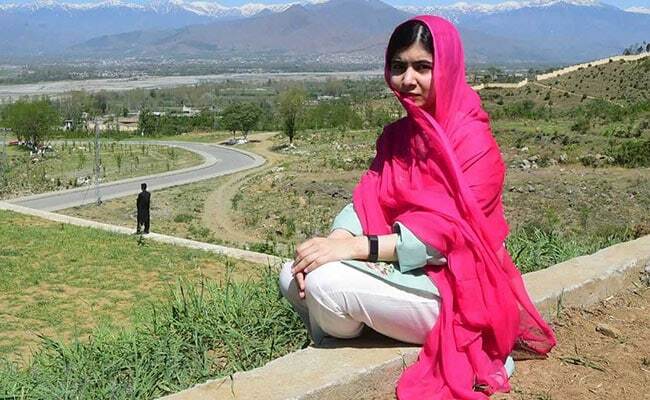 Mingora, Pakistan: In the Pakistani hometown of Nobel Peace Prize laureate Malala Yousafzai, reminders are frequent of the daughter of scenic northwestern Swat Valley who survived a gun attack and so are memories of harsh rule by the Taliban. Yousafzai is visiting Pakistan for the first time since the Pakistani Taliban now on the run but still able to launch attacks shot her in the head in 2012 over her advocacy for girls' education and opposition to Islamist militancy. By late Friday it was not yet clear whether security considerations would allow Yousafzai to return to Swat Valley, but many are eagerly awaiting her. "We're very happy that Malala has come to Pakistan. We welcome Malala," said Arfa Akhtar, a third grade student in a school where Yousafzai once studied. "I'm also Malala. I'm with Malala in this mission." Barkat Ali, 66, says he remembers holding Malala in his lap when she was a child in Mingora. He is proud of the 20-year-old's struggle to promote girls' education, just as he is of his refusal 10 years ago to turn over his son when the Taliban demanded new fighters. "They were the old illiterate people who would say that our daughters will not go to schools," Ali said, recalling two mortar shells landing in his street, often patrolled by the Taliban. "Now people have become sensible. They educate their girls." The Pakistani Taliban took over much of the valley starting in 2007, banning girls' education, killing people, flogging women and hanging bodies from electric poles to enforce their harsh interpretation of Islamic law before the Pakistani army drove them out in 2009. Not everyone in Swat, though, has such reverence for Yousafzai who became the youngest Nobel laureate in history in 2014 at age 17. Swat resident Mohammad Nisar Khan says the international celebrity and official protection given to the young woman overshadows the sacrifices made by others in Swat. "We were the ones who stood up against the Taliban... My four uncles and two cousins were slaughtered by the Taliban in Matta. They were brutally martyred. Yet, no one has asked about me," Khan said. "Can someone show me one brave deed that Malala Yousafzai has performed ... that we have not performed at age 50?" Elsewhere in parts of Pakistan, her arrival was met with outright hostility from those who accuse her of building a career abroad by painting a negative picture of her homeland. In the eastern city of Lahore, a group of private schools staged a protest with teachers and their students chanting "I am not Malala", some wearing black armbands. The organiser of the protest, Kashif Mirza, said dozens of private school chains participated and teachers told students in classes "that Malala does not represent true Pakistan". "She maligned Pakistan, Islam and the Pakistani army after going abroad," said Mirza, who leads the President of All Pakistan Private Schools Federation. He said his group condemned the gun attack on Yousafzai but said since going abroad she had been influenced by foreign powers. Other private schools, however, declined to join the anti-Malala protest. "No such day was observed in any of our branches, because we don't support any event which spreads hatred," said Tabraiz Bokhari, spokesman of Beacon House School System, with 200 affiliates across Pakistan. In the nine years since the army drove out the Taliban, Swat has become mostly peaceful, though there are still occasional militant attacks including one several weeks ago targeting the military. Many Swat residents, including family friend Jawad Iqbal, are hopeful Malala will be able to return on this trip. 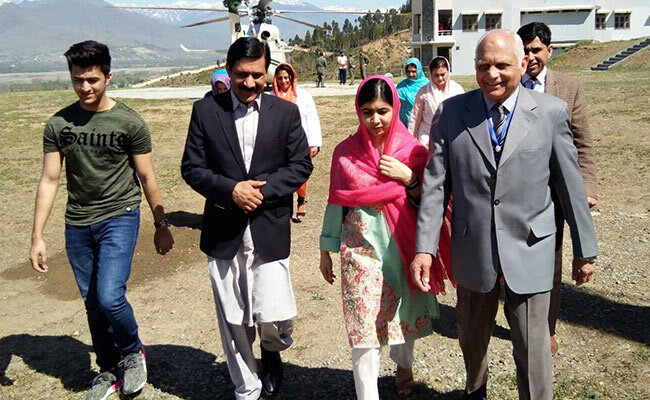 "The people of Swat and the whole of Pakistan are with Malala," Iqbal said standing in front of a portrait of Yousafzai with her father, who is a teacher. "God willing, we will counter the terrorism and extremism in our region with the weapon of education, with the weapon of a pen, with the weapons of teachers and with the weapons of books." Along the road where Malala was shot on her school bus, resident Amir Zeb also said he hopes Malala will visit her hometown. "Malala Yousafzai is the daughter of Pakistan," he said, adding. "We're proud of her.